You’ve been planning for your wedding for the past year and now the big day has arrived and there still seems to be too much to do. The stress of it all can take a toll on your skin and we have tips to help prevent breakout a breakout before your wedding day. You can have the perfect wedding day skin with these top tricks to stop the acne before it appears! There is an unimaginable amount of germs and dead skin cells on your towels. Give them a spin in the laundry to avoid the pimple crisis that invades so many weddings. Keep in mind that towels hold moisture, which allows breeding of bacteria and no one wants to dry their face with a towel laced in bacteria. Although there are many things that must be done, don’t skip the laundry and your skin will thank you on your wedding day. Your mouth probably just dropped because this is something you’ve never heard and probably doubting it now. The week before the wedding it is best to go with mild cleansers that are gentle on the skin. Exfoliate the skin during the months leading up to the wedding as an effort to improve tone and texture but it can cause the skin to appear red and irritated. 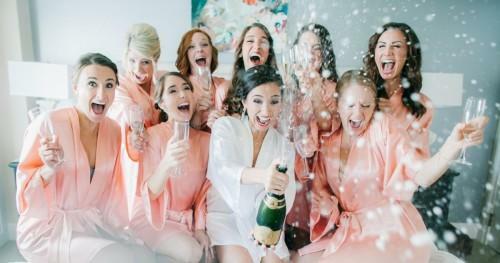 Therefore, it is a good idea to spend the days leading up to the ceremony simply cleaning and rinsing the face and following with moisturizers.